“Accommodating employees in a way that can be deemed ‘smartly’ and recognizing what the employee needs in terms of communication makes a tremendous difference,” explains Kelley, whose executive role guides the tech aspects in MVT’s strategy, planning, deployment, acquisition and operations, and oversees all issues enhancing the sharing of data, including those related to personnel. And it’s a position to which he’s ideally suited. MVT has grown dramatically from its 1981 regional roots in the American Southwest to a leading cross-border transportation services provider. Kelley, who joined MVT in 2001, and moved into management after receiving his MBA in Business Computer Services the following year, has helped shepherd the company’s tech trajectory from three servers to an impressive 110, 70 of which are virtual. “I like the challenges and the puzzles that come with my job. One of my talents is being able to reach the correct conclusion with less information than most people need,” Kelley says, of his affinity for everything tech -- and, despite referring to himself as head geek and nerd herder, he bosses a team of 20 like-minded professionals and is the final word on all data-related issues for MVT’s approximately 2,000 employees. Among Kelley’s priorities: ensuring that the give-and-take of information acknowledges the perspective of those who rely on it to do their jobs efficiently. For younger employees who have grown up with computers and prefer the options that come with cyber exchanges, text and email are the favored methods of communication. “This demographic looks to the technology to provide the solutions,” he says. Unquestionably, the complex integrated solutions available with a few clicks save time and money and, overall, make it simpler and faster to get things done. It’s clear: contemporary employees already understand the basics of working with technology. Nonetheless, Kelley and MVT require all new hires to shadow a senior-level staffer, a learning process that fosters a smooth transition into the corporate culture. He notes that training, adaptability and clear communication are essential in the evolving information space. 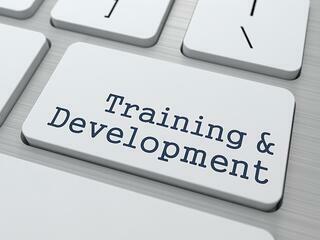 Training is key to new and veteran employee success. TMW customer? Start here.